Anthony Brownrigg Archives - Horror News Network - The Horror News You Need! We have an exclusive clip from Anthony Brownrigg’s Don’t Look In The Basement 2 to share with you today. In addition, we have a statement from Brownrigg about the film. Don’t Look In The Basement 2 will be available May 24th. You can view the clip and statement below. 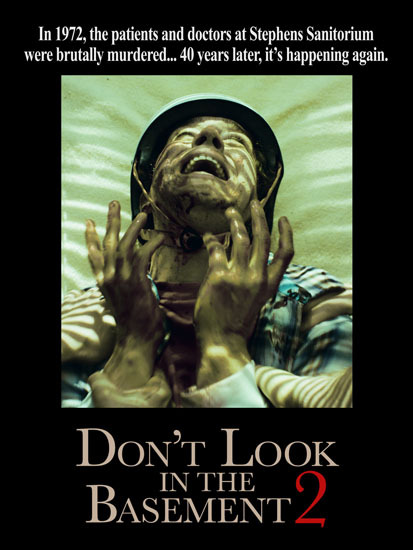 Don’t Look In The Basement 2 Available May 24th From LeglessCorpse Films. We have the trailer, poster and stills for the upcoming Don’t Look In The Basement 2, which is written and directed by Anthony Brownrigg, the son of original director S.F. Brownrigg. You can view the complete press release below.